Published March 30, 2014 at 510 × 768 in Carriage House – Powder Room. 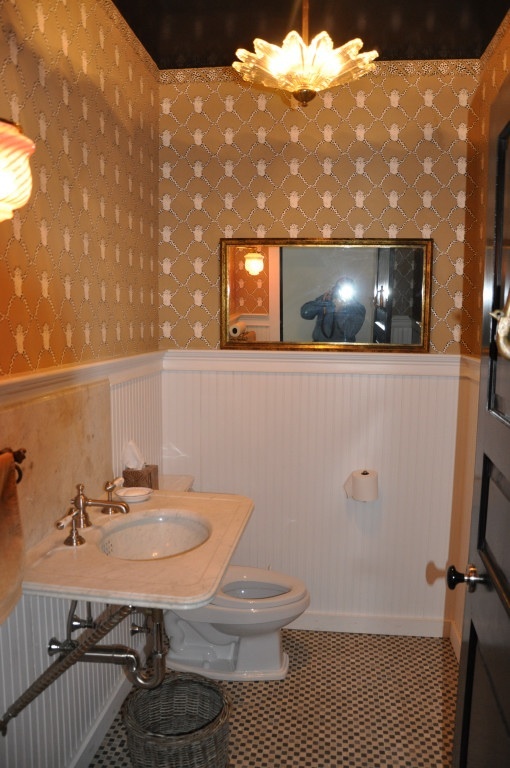 Fun powder room with antique sink and lighting with frog wallpaper. What you don’t see is the black ceiling.